With up to 205,000 bonus Virgin Australia Velocity points currently being offered with a single credit card application, and close to one million points on the table across a selection of top offers, an extra serving of points could be just the ticket to a free flight or upgrade to business class. 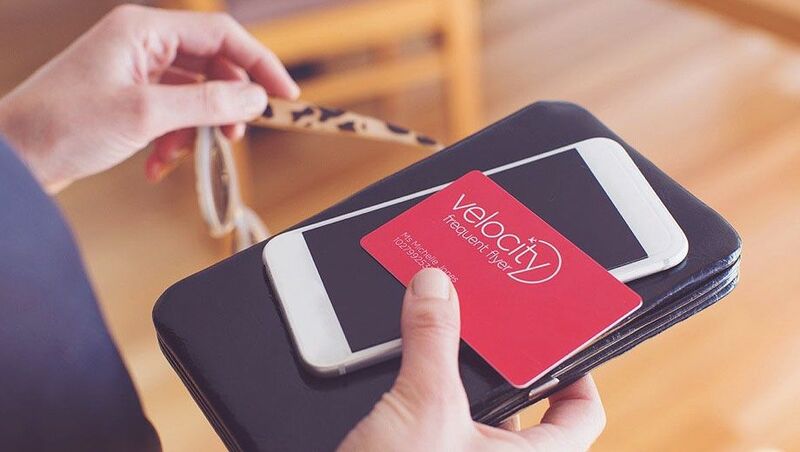 Here's an overview of the most rewarding personal credit card sign-up deals for Velocity members this February, covering credit cards and charge cards issued by American Express, ANZ, Citibank, NAB, St.George, Virgin Money and Westpac. Continuing with an offer of up to 410,000 Citibank Rewards points – that's up to 205,000 bonus Velocity points at the program's current 2:1 conversion rate – the Citi Prestige Visa Infinite Credit Card with its optional Linked Diners Club Card. With or without that Linked Diners Club Card, eligible new Citi Prestige customers could qualify for up to 400,000 bonus Citibank Rewards points when applying by March 31 2019 and spending at least $1,000 on purchases in each monthly statement period for the first 20 months, provided in the form of 20,000 points per eligible month up to 400,000 Citibank Rewards points in total when that journey is complete. Boosting those bonus points even further, new customers who request the Linked Diners Club Card during the application process can also receive a separate 10,000 bonus Citibank Rewards points after their first Linked Diners Club Card spend within 90 days of approval. Make full use of both offers and that's a grand total of up to 410,000 bonus Citibank Rewards points, worth a hefty 205,000 bonus Velocity points at the current 2:1 conversion rate for Prestige cardholders. A $700 annual fee applies, whether or not the Linked Diners Club Card is attached – so there's no extra cost to opt-in for the two-card combo, and that Linked Diners Club Card also comes with no international transaction fees on overseas purchases and an uncapped earn rate of 2 Citibank Rewards points (=1 Velocity point) per $1 of eligible spend, both at home and abroad. Shopping using the Visa provides points at varying rates of between 1 and 3 Citibank Rewards points per $1 spent (equal to 0.5-1.5 Velocity points) on eligible purchases, but be aware that points are not awarded on government or government-related transactions on either card, such as on ATO payments, and that international transaction fees of 3.4% apply to Visa spend. Tempting with an offer currently worth up to 155,000 bonus Velocity points, the Citi Rewards Signature Visa credit card that can also be paired with the optional Linked Diners Club Card. Again, with or without the Linked Diners Club Card, Signature-level customers can earn 15,000 bonus Citibank Rewards points per month in each of the first 20 months, when applying by March 31 2019 and spending $1,000 or more in each statement period. That's up to 300,000 bonus Citibank Rewards points when hitting those monthly targets. Request the Linked Diners Club Card during the application process and spend on it within 90 days of approval to earn a further 10,000 bonus Citibank Rewards points, giving up to 310,000 bonus Citibank Rewards points overall, currently equal to 155,000 Virgin Australia Velocity points when converted at a 2:1 rate. There's also a reduced annual fee of $195 in the first year, and in future years, you'd pay a similar $197.50 annual fee where $48,000 has been spent on the account in the prior year: otherwise, the full fee of $395 applies. There's again no extra charge for holding the Linked Diners Club Card, which provides the same earning rate (2 Citibank points per $1) and benefits (e.g. no international transaction fees) as offered to Prestige cardholders. As for the Visa Signature card, you can earn 1-2 Citibank Rewards points (0.5-1 Velocity points) per $1 spent on eligible purchases, excluding things like government and government-related payments. Currently with a bonus worth up to 100,000 Velocity points, the St.George Amplify Signature Visa with Amplify Points card could have you flying in no time. Here's how it works: apply by May 22 2019 and spend $12,000 on eligible purchases each year for the first two years, to earn up to 200,000 bonus Amplify Points. These points currently convert to Velocity at a 2:1 rate from the Amplify Rewards program, giving you up to 100,000 bonus Velocity points. There's also a reduced annual card fee of $179 in the first year, although the normal fee of $279 applies from the second year onwards. Spending on the card also generates the equivalent of 0.75 Velocity points per $1 spent, boosted to 0.825 Velocity points per $1 spent when you take St.George's 'birthday bonus' into account. With a difference of less than 10,000 bonus Velocity points between them, the Virgin Australia Velocity High Flyer Card, the Citi Rewards Platinum Visa and the personal American Express Platinum Charge Card take out fourth place, with offers equal to 80,000-90,000 bonus Velocity points – here's what you need to know for each card. Virgin Money: Delivering up to 90,000 bonus Velocity points, eligible new customers can apply by March 31 2019 and take home 30,000 bonus Velocity points per month in each of the first three months where at least $3,000 is spent on the card every month: up to 90,000 bonus Velocity points at the end of month three. 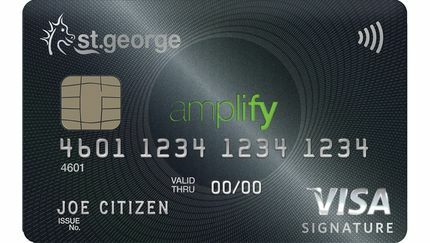 In return for its $289 annual fee, the Virgin Australia Velocity High Flyer Card also gives one Velocity point per $1 spent on eligible purchases up to $8,000/month, reverting to 0.5/$1 thereafter (but no points on government payments), and includes a $129 Virgin Australia gift voucher each year plus two Virgin Australia lounge passes to help offset that yearly charge. Citibank: Apply for the Citi Rewards Platinum card (with or without the Linked Diners Club Card) by March 31 2019 and get 10,000 bonus Citibank Rewards points per month in each of the first 20 months when spending at least $1,000 per statement period, for up to 200,000 bonus Citibank Rewards points: worth up to 80,000 Velocity points following a 2.5:1 conversion under Citibank's Platinum program. You can also take home a further 4,000 bonus Velocity points (10,000 Citibank Rewards points with a 2.5:1 conversion) by requesting that Linked Diners Club Card during the application process and making your first Linked Diners Club Card spend within 90 days of approval, giving you up to 84,000 bonus Velocity points in total. American Express: Apply as an eligible new customer and spend $3,000 within the first three months to earn 80,000 bonus Membership Rewards Ascent Premium points, currently equal to 80,000 Velocity points after a 1:1 conversion. An annual fee of $1,450 applies, and until April 15 2019, you can earn up to three Velocity points per dollar spent on purchases (such as at many AMEX-accepting restaurants in Australia, where points are awarded at the highest rate), although lower-than-normal earning rates apply to insurance, utility and government payments. From mid-April, changes to the card's earning and conversion rates going forward will provide the equivalent of 1.125 Velocity points per $1 spent on all purchases, except government transactions which will continue to earn the equivalent of 0.5 Velocity points per $1 spent. The conversion rate from Membership Rewards Ascent Premium to Velocity will also be amended from 1:1 to 2:1 from the same date, so it'd be wise to move your points across to Velocity before the new rate kicks in, otherwise any remaining points would lose 50% of their value. Take home a bonus worth up to 60,000 Velocity points through the American Express Westpac Altitude Black Bundle or Virgin Money's Virgin Australia Velocity Flyer Card. With Westpac, that card bundle provides you with both a Westpac Altitude Black Mastercard (issued and serviced by Westpac), and an American Express Westpac Altitude Black Card (issued and serviced by American Express), and each card comes with its own sign-up bonus points offer. For starters, when you apply for the bundle by April 2 2019, opt for the Altitude Rewards program and spend $3,000 on eligible purchases within 90 days of card approval using the Altitude Black Mastercard, you can earn 80,000 bonus Altitude Rewards points, equal to 40,000 Velocity points via Velocity Auto-Redemption. This card carries a $250 annual fee. You can also nab 40,000 bonus Altitude Rewards points (worth 20,000 Velocity points via Velocity Auto-Redemption) when spending $3,000 on eligible purchases within the same 90-day period using the American Express Westpac Altitude Black Card, giving you up to 60,000 bonus Velocity points overall if completing both offers. This card attracts a $199 annual fee. Through today's Altitude Rewards program with Velocity Auto-Redemption enabled, spending on the American Express Westpac Altitude Black Card also provides the equivalent of 2.5 Velocity points per A$1 spent on purchases in foreign currency; 0.5 Velocity points per $1 spent on government payments in Australia; and 1.5 Velocity points per $1 spent everywhere else: while the Altitude Black Mastercard features an earn rate equal to 0.625 Velocity points per $1 spent (with some exceptions such as ATO payments). Otherwise, Virgin Money's Virgin Australia Velocity Flyer Card is currently offering 20,000 bonus Velocity points in each of the first three months for customers who apply by March 31 2019 and spend at least $1,500 in each statement period, totalling 60,000 bonus Velocity points at the end of the third month. There's also a reduced annual fee of just $64 in the first year ($129 ongoing): great value given the card includes a $129 Virgin Australia flight voucher every year, including year one. Spending on the card also provides 0.66 Velocity points per $1 spent up to $1,500 per month and 0.5 Velocity points thereafter, except on government and government-related payments. 50,000 bonus Velocity points via the ANZ Rewards Black Visa: fetch 100,000 bonus ANZ Reward Points (worth 50,000 Velocity points after a 2:1 conversion) and also $100 back to your new card when you apply and spend $4,000 on eligible purchases in the first three months from approval. 50,000 bonus Velocity points on the AMEX Velocity Platinum Card: apply and spend $3,000 on eligible purchases in the first three months. 45,000 bonus Velocity points through the NAB Rewards Signature Visa when you apply and spend $2,500 on purchases within the first 60 days to earn 90,000 bonus NAB Rewards points, worth 45,000 Velocity points following a 2:1 conversion. 40,000 bonus Velocity points with ANZ's Rewards Travel Adventures Visa: apply and spend $500 on eligible purchases in the first 3 months of card approval, with the card also including a free return Virgin Australia domestic flight every year, lounge access, and no international transaction fees. Up to 37,500 bonus Velocity points via the American Express Westpac Altitude Platinum Bundle: apply by April 2 2019, choose Altitude Rewards and spend $3,000 on purchases using the Altitude Platinum Mastercard within 90 days of card approval to earn the equivalent of 30,000 bonus Velocity points, and also spend $3,000 on purchases using the American Express Westpac Altitude Platinum Card within the same time frames to earn the equivalent of 7,500 bonus Velocity points (both via Velocity Auto-Redemption), with no annual fee to pay on the Mastercard in the first year ($150 thereafter). The AMEX attracts a $49 annual fee. 25,000 bonus Velocity points from the ANZ Rewards Platinum Visa (apply and spend $2,000 on eligible purchases in the first three months from approval to earn 50,000 bonus ANZ Reward Points – equal to 25,000 Velocity points when converted at a 2:1 rate – plus $50 back to your new card, which has a total annual fee of $95 and an earn rate worth up to 0.75 Velocity points per $1 spent.